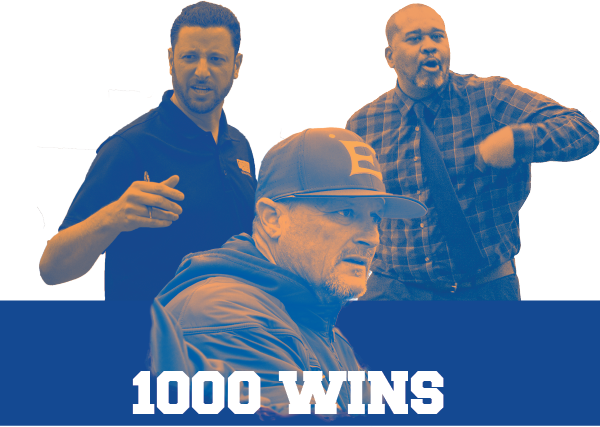 Eastfield coaches Michael Martin, Anthony Fletcher and Brandon Crisp hit a cumulative 1,000 wins in the 2018-2019 season. The wins come following volleyball’s second-place finish in the national tournament and basketball reaching runner-up in the Dallas Athletic Conference tournament. Here’s a look at their accomplishments en route to 1,000. Brandon Crisp took charge of Eastfield’s volleyball squad in 2014. His teams have reached the national tournament three years in a row, winning it all in 2017. Anthony Fletcher took the helm for Eastfield’s basketball program in 2004. His teams have gone to three national tournaments. He has also had a player drafted to the NBA. Michael Martin became skipper of Eastfield’s baseball team in 2001. His 18-year tenure has produced two national championships, a NJCAA Division III National Coach of the Year award and had a player drafted to the MLB.